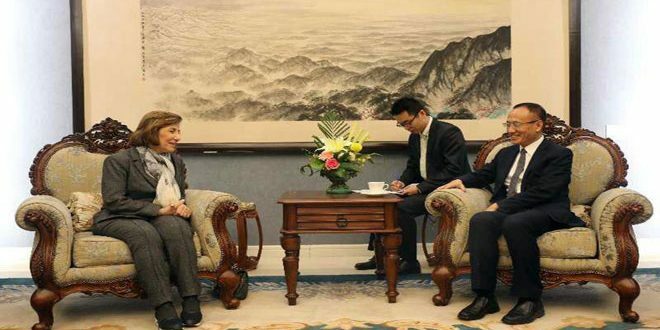 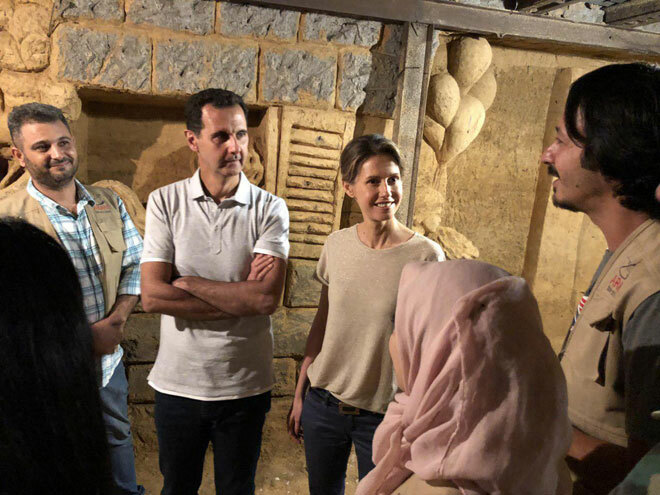 Damascus, SANA- President Bashar al-Assad and Mrs. Asma al-Assad visited on Thursday one of the tunnels of death dug by the terrorists in Jobar neighborhood, which were turned by 18 Syrian artists to a place of art and creativity after making dozens of sculptures on the walls. 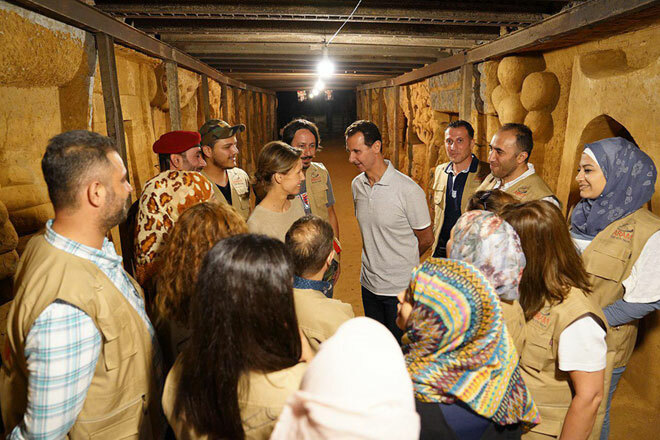 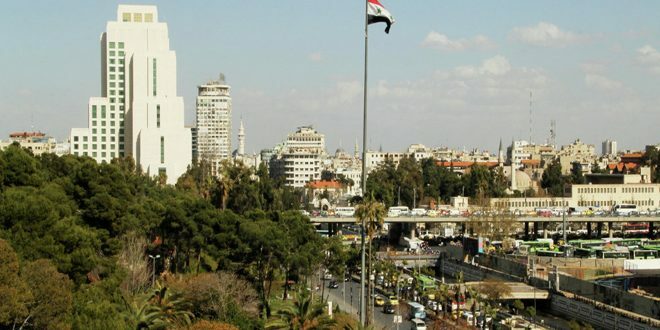 “Every sculpture on these walls reminds us of the heroes of the Syrian Arab Army who fought valiantly to liberate this holy soil, which is mixed with the blood of our martyrs and wounded,” the President affirmed. The tunnel which was dug by terrorists under a school destroyed by mercenaries was transformed by a group of Syrian artists into an art gallery, including 20 paintings carved on its walls. 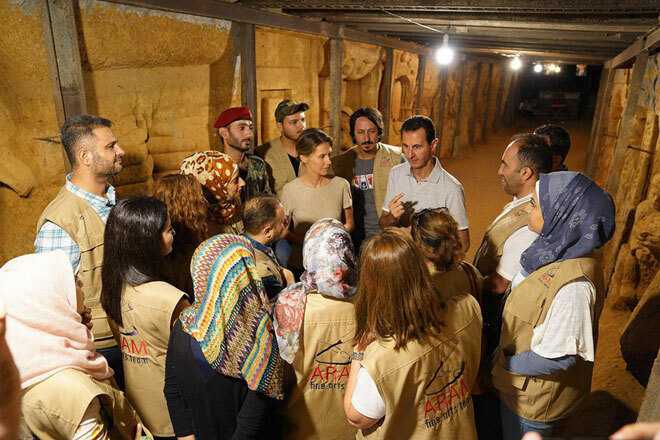 The work took 25 days over an area of 80 square meters and at a depth of nine meters under the ground.